Filipino artists and designers are starting to make their mark in the global market place. 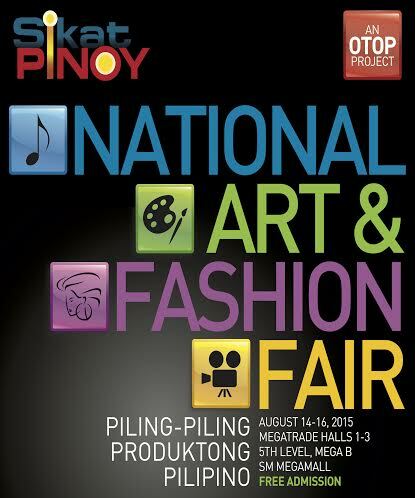 To promote the creative industries and encourage art entrepreneurship, the DTI-Bureau of Domestic Trade Promotion is organizing the SikatPinoy National Art & Fashion Fair, to be held from August 14-16, 2015, at the SM Megatrade Halls. Admission is free. With the theme "Piling-Piling Produktong Pilipino," this retail and order-taking event aims to expand the market presence of, and open up business opportunities for, Filipino SMEs in the arts and fashion categories. DTI officials will formally open the event at 2:00 pm on Friday, August 14, 2015.